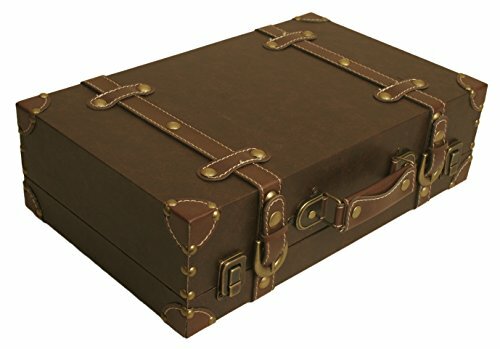 Complete your decor with our brown faux leather suitcase. Add a rustic touch to your home. Great for storing small knick-knacks in your home, but offering an awe-inspiring decorative accent. If you have any questions about this product by Wald Imports, contact us by completing and submitting the form below. If you are looking for a specif part number, please include it with your message.